During the late 1930s, Wade Mainer was the most-recorded country musician in Charlotte. Today his distinctive two-finger banjo style and old-time music continue to make him popular at festivals across the United States. Wade Mainer was born on April 21, 1907, near Weaverville, North Carolina, in the Blue Ridge Mountains above Asheville. In the mid-1920s, he moved to Concord to join older brother J. E. who had found work in the cotton mills there. Both young men had learned music from a fiddle-playing uncle in the mountains. They formed a band called Mainer’s Mountaineers to play at social events and fiddlers’ contests. J. E. played fiddle, Wade picked banjo, and John Love and Zeke Morris joined in on guitars. The Mountaineers made their first radio appearance on WSOC (then a Gastonia station) and caught the attention of Crazy Water Crystals distributor J. W. Fincher of Charlotte. He hired them for WBT’s Saturday-night Crazy Water Barn Dance in 1934, and later sent them out to broadcast daily shows on stations in New Orleans, Asheville, and Raleigh. Along the way they stopped at an RCA field session in Atlanta to record their first records. The initial release, Maple On the Hill, became one of the 1930s major sellers and remains a country classic. Wade estimates that the disc earned the band $18,000—at a royalty rate of one-half cent per record sold. Today, historians point to Mainer’s Mountaineers as one of the most influential stringbands of the pre-WWII era, “an important link in the evolution from the older stringband sounds of the 1920s to the new bluegrass style of the 1940s,” one scholar says. Wade began a recording career as a band leader in his own right in 1936, though he continued to play with J. E. off and on. His first session took place at 208 South Tryon Street on February 14, 1936, and almost all of his pre-World War II records were waxed in Charlotte or Rock Hill. By 1939, he had recorded nearly one hundred sides. This number far surpassed the sixty songs cut by the popular Monroe Brothers, for instance, and it indicates that Wade Mainer was one of the best selling artists of his day. Mainer’s most frequent partner in his Charlotte area sessions was guitarist Zeke Morris. 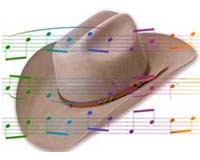 On several occasions the duo expanded to a trio with the addition of Steve Ledford or Homer Sherrill on fiddle. 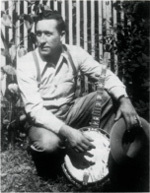 When Zeke married, Wade replaced him with Clyde Moody, who soon went on to become a member of the very first line-up of Bill Monroe’s Bluegrass Boys. The voice of young Julia Brown was featured in one Charlotte session in January 1938, in the song When Romance Calls. The title was apt, for Julia was to become Wade’s wife, and she still sings with him in concerts today. After World War II, country music veered from the old-time sounds of the 1930s, and in 1951 Wade Mainer hung up his banjo. He moved to Flint, Michigan, to work in a General Motors plant and became active in an area church. He remains a resident of Michigan. During the 1960s folk music revival, a new generation of old-time music enthusiasts sought Mainer out and persuaded him to take up banjo once again. Some of them founded Michigan-based Old Homestead Records—now a major folk music label—in part to rerelease his early recordings. Wade became something of a celebrity as one of the few old-time southern musicians easily accessible to northern audiences. When he retired from General Motors in 1973, he began performing more often at folk festivals, and today in 1985 he and Julia spend part of each year crisscrossing the United States in their camper and playing music. To the surprise and delight of their many fans around the world, Wade and Julia continued to share music and memories from their home in Flint, Michigan into the 2000s, well past Wade’s 100th birthday. Wade Mainer died September 12, 2011, age 104. Nearly all of Wade’s 1930s Charlotte and Rock Hill recordings are available in two 4-volume CD collections from Britain: J.E. Mainer, The Early Years 1935 – 1939 (JSP77118) and J.E Mainer, Classic Sides 1937 – 1941 (JSP 77124). Most of his later work for the Old Homestead label also remains in print.